Top Realty - PRE-REGISTRATION REQUIRED FOR VIEWING. CALL AGENT. PRE-REGISTRATION REQUIRED FOR VIEWING. CALL AGENT. 2 LEVEL PENTHOUSE W/ROOF TERRACE. This extraordinarily spacious 167 m2 double-storey 2 bedrooms penthouse - apartment in the boutique VIBE development will impress you. Spanning over levels 7th & 8th with views of East Perth & Swan River, there is plenty of indoor & outdoor space for relaxing & entertaining your family & friends. With common amenities such as pool, gymnasium & rooftop BBQ facility, it will surely keep you busy during your rest and relax time. CAT bus services are just at your doorstep and you will never need to drive again to access most parts of the city. Wellington Square Park, Swan River, Elizabeth Quay, Esplanade, Langley Park & Claisebrook are all within walking distances too. This city apartment would make a fantastic family home and must be seen to be appreciated. Call to enquire now! Disclaimer: All information contained has been prepared for advertising and marketing purposes only and is not intended to form part of any contract. Whilst every effort is made for the accuracy of these information, which is believed to be correct, neither the Agent nor the client nor servants of both, guarantee their accuracy and accept no responsibility for the results of any actions taken, or reliance placed upon this document. Interested parties should make independent enquiries and rely on their personal judgement to satisfy themselves in all respects. Fr $549,000 - PRE REGISTRATION REQUIRED TO VIEW. Raymond is a wonderful agent. His fast action, clear explanation, great follow up and very patient to help us. Wonderful service. Thanks Raymond! I would personally like to thank Raymond for his skill and guidance in selling my half duplex in Willetton. From day one, Raymond was polite, had an excellent work ethic and showed attention to detail. He gave a clear breakdown of his costs, practical advice on how best to present my property in today's market and kept in touch until i was ready to list without being pushy. After each home open that he personally attended, Raymond promptly contacted me with a summary of how many people attended and any comments they passed on to him. Throughout the settlement period, Raymond and his office administrator, Su, kept me up to date with the buyer's progress and answered all of my many questions. Raymond seemed as genuinely excited as me when my property sold. After all is said and done, Raymond is more of a friend than a real estate agent. Sean is very helpful and would recommend him to any future buyers or sellers. He is kind, approachable and made it an easy process for us. Sean is an outstanding real estate agent who went above and beyond to assist us. He is very knowledgeable with the current property market. We are happy to recommend our family and friends to Sean. Thank you Raymond for your professional and competent handling of the sale of my house. I wouldn't hesitate to recommend you to others. Excellent in all manner of the sales process. Caring and knowledgeable in all aspects of the task. Well researched facts and great personal service. Deserves to be a highly successful agent in this field. Thank you so much Raymond. Sean is a great agent to deal with. Was given a very informative walk through the property and comprehensive guidelines through out the process. For new home buyers in the market, Sean will be able to guide you and ensure a smooth transition takes place. Raymond's agent is really, as it's name implies, a "TOP" realty agent. He is on TOP of many languages with real estate. As Australia, especially in Willetton WA, is a multi-cultural country (suburb), this with his great service makes great success in his agent. Sean has multiple skills. His knowledge of the whole process of selling a house was exemplary and simplified it for us. In addition to this he sold our property extremely quickly at a favourable price for us. Full explanations, available for any queries, knew the area very well. Friendly and transparent and honest. Pleasure to work with Sean. Raymond is a very knowledgeable individual of the local real estate market and provided excellent insights. He works hard for the vendor and represented us well and gave us confidence that he had everything under control. He gave up regular updates and made sure that potential buyers were screened which minimise the number of time wasters. I am more than happy with the service provided by Raymond and his team and will recommend others. I was the buyer of a property from Raymond. Communication was clear and quick. Items which had to be fixed were done expediently. Handover was thorough. Overall a pleasant experience. Raymond was very professional and got us the best possible deal without having to compromise the seller. Sean had good market knowledge and kept us updated on the situation. Very helpful and even after the deal had been closed, he walked the extra mile and assisted on how to do the necessary to hand over the property. Very good service and reasonable fees. We have been inspecting properties for the last 5 months. Among all the agents we have met, Sean came across as being the most honest, trustworthy and friendly. As a first home buyer Sean answered all of our questions and guided us through the process. He provided a realistic and unbiased view of the property and market. Sean's work ethic and dedication is second to none, he would promptly answer or return calls insuring we had all the relevant information. He is a true professional in his field. Raymond is a very professional real estate agent. Raymond is Professional. Great service. Raymond was so professional and an absolute pleasure to work with. He kept us informed constantly and was never pushie. I would recommend Raymond to anyone. Raymond is very nice with good communication and professional ability. He can speak Mandarin so that makes it easy to communicate. It was pleasure working with you Sean. You were always to the point on all our communications. Great after sales service as well. Happy with the professionalism and outcome. Will definitely do business with Top Realty / recommend to others. Good service! Patient & everything for customer. Sean actually put his time to show us the property and make sure all my questions are cleared. The negotiation went straight-forward without much back and forth. Thank you for making this process less complicated. Raymond was upfront with us and advised if we wanted to achieve top dollars, it would be better to subdivide the land and sell the blocks. We followed his advice and that strategy paid off. Raymond put our interest first and was very helpful at all the stages of the development. It is very easy to communicate with Raymond and we will certainly use him again if we were selling in the Willetton area. Very knowledgeable local agent. Quick sale and achieved great result. Sean has demonstrated a high level of professionalism, integrity and excellent attitude throughout the sale process. He has a good measure of experience and knowledge, and is a great service provider to both the seller and buyer. I would highly recommend Sean as a preferred agent! Raymond made the sale of our block an easy process. He gave us realistic prices, sold it fast and had great communication between the buyers and us. Nothing was too hard for Raymond, he was easy to get hold of, answered all our questions and was always willing to help. Raymond is a very honest, open & respectful agnet. I highly recommend him and his service. Raymond kept us in touch promptly at all times & smoothed the way so there were no hangups that he could avoid. MARVELLOUS ! Firstly, We would like to express our sincere gratitude to entire Top Realty TEAM including Su, the hardworking & quietly achieving admin. Truly professional in all aspect right from Appraisal, Photography, Home opens, communications, Offer writing and final inspection. Property under offer in 2 weeks and seamless settlement due to great insights throughout the process. Sean is knowledgeable, provides correct advise, fair to both parties and honest in his dealings. Will be strongly recommending his service to friends & families. It was a great pleasure dealing with a very professional, reliable and supportive agent. The process has been lengthy due to the nature of condition, though all throughout Raymond has provided all the necessary support whatsoever correspondence and prompt responses leading to the settlement date. Raymond was a pleasure to deal with. He was very helpful with advice in readying our property for market. Unfailingly courteous and prompt in his dealings with us, we cannot speak highly enough of him. We would recommend him and his services to anyone. As rated, above. Sean has shown a great knowledge of the market and good in terms of negotiation/communication/marketing. Very friendly at a time when any clarifications are required. I will surely recommend Sean to any of my friends who looks for such similar services in this property marketing. Sean is a superstar agent. He is knowledgeable and professional in what he is doing. I remembered he has done research online (like on my property, newly and existing market rate around the area etc) before our first meet up. He is very honest and frank in evaluating my property during the first meet up. When I ask him questions, he answered and I am very impressed that he knows a lot of things. He has also given me advice when I am in doubt at times. He has helped me to look for contacts (for cleaners, settlement agent, handyman etc). Without his help, I will have to spend time to look for it myself. He is very friendly and polite in dealing with customers/clients during house opening. He explains very thoroughly and answered to all their queries. Lastly I would like to take this opportunity to thanks Sean for his effort in helping me to sell off my place in a very short period of time. I have no regret in engaging Top Realty as my property agent. I will definitely recommend Top Realty to all my friends/colleagues/relatives if they need to sell/buy properties. Raymond is always to the point, not wasting time. good timing. Skillful dealing with both sides. Hard working. We can recommend Raymond Chen highly as we are pleased with his services. He helped us to purchase a home that we really love. He was very professional in his dealings and was very patient with us and helped us with all our concerns till the deal came through. He is a definite asset to any organisation. We recently purchased a property from Raymond in Willetton, WA. Raymond specialises in this area and was brilliant to deal with from start to finish. We really appreciated Raymond's professionalism, and in particular the trust that we felt when dealing with him. We also liked that he was transparent and straightforward in our transaction, and this created great confidence that we were dealing with a very honest agent. We hope to deal with Raymond at Top Realty in the future and would gladly recommend him to our friends and family. I would highly recommend Raymond to anyone. He knows the property market very well and therefore, gives very honest opinion. He is very reliable, constantly updates his clients on the status of their respective property when it's up in the market. Sean is very pleasant, easy and responsive communications, has sound professional knowledge in his area of work and great to deal with. Highly recommended! Sean is a very honest reliable and responsible professional. He goes the extra mile to help customers achieve their goals. I would definitely recommend Sean in any business dealings. Sean was very helpful and went out of his way to assist in every way he could. I Think he did a great job, and would not hesitate to recommend his services in future. Raymond is a genuinely friendly and very well-informed agent. Purchasing a property through Raymond was a seamless experience. The various advice conveyed to us by Raymond throughout the process was certainly worth its weight in gold. Good result at the end of it, very professional and helpful in the dealings. Sean is a very helpful, informative and communicative property agent. He keeps us well informed throughout the process. It has been a great pleasure to have him as the agent. Great job, Sean. Sean made us feel like we were personal friends. He worked hard to sell our property and obtained an acceptable offer for us. Thank you Sean! We are happy with what we got. Raymond sold my previous home just a few years ago and I was completely satisfied with the outcome. Without much hesitation, I approached him for the sale of my late sister's property. It was listed 6 weeks before the Christmas season and I was not expecting many serious buyers would come up with offer sooner. But I was pleasantly surprised with the result that followed. Thanks Raymond for your hard work and professionalism. I know I can count on you! Good negotiation with fairness for all parties present. Not pushy or unrealistic. Raymond did every thing we asked of him, he made me feel happy, and I trusted him completely. His christian spirit shone through his personality. I was very pleased with the amount the house sold for. He is very professional in his dealings and very knowledgeable in they way he conducted himself. It was a pleasure dealing with Raymond and TOP REALTY, I wish Raymond every success in his future, I am sure all he meets will be very pleased with him selling or buying a property. With seeing home opens in our suburb and Top Realty signs becoming more and more, we could see why. From the first sign of introduction presentation handshake and welcome ,we concluded to place the sale of our home to Raymond. With such professionalism and care, and communication all the way, our home was sold in such a smooth sale, it was easier to let go and move on. Having a reasonably quick sale helped us to overcome 11 years of letting go of our our home. Thank you Raymond. Raymond was very prompt in all his communication during the process. He was honest and clear in all his messages. A buyer is always anxious about reality vs. myth but Raymond communication and style helped to axe our concerns. Raymond used his excellent negotiation skills when dealing with the buyer and went the "extra mile" to help us to close the deal on the selling of our house. He gave written answers to questions I left for him after one home open and worked on our behalf to get the best price possible. Raymond attempted to "smooth out" all the "bumps" to make the sale of our house as easy as possible for us. Raymond has initiative and followed up to close the deal. Raymond provided valuable assistance in preparing our house for sale. He negotiated a good price, was very professional in all aspects associated with the sale. Thanks so much Raymond. The sale went very smoothly. We communicated very well. I am very happy with it all. Our house value was near the ceiling for the suburb and Raymond handled the sale process efficiently. The sale went through quickly. Raymond was always communicative and updated us frequently which was important because we were away often. Very happy with everything - no issues. Finding what you want and go for it, money is not your only concern, the right agent with the decency is helpful at most! Many thanks! This is the 2nd time we have chosen to appoint Raymond for the sale of a property which speaks volumes for our respect for the work he performs. Raymond delivered, communication was again top notch and he was a powerful negotiator helping us achieve the price we wanted. No on has their finger on the pulse of the Willetton market quite like Raymond. Raymond is good to work with. All went well and with no fuss. Raymond has provided an excellent and efficient support in making the sale of our house successfully. Raymond is a highly knowledgeable and professional real estate agent. I strongly recommend Raymond to anyone who needs to sell their house. Raymond has great patience with customers and is really knowledgeable. He knows well about his customers and properties he is handling. He is so nice and thoughtful that we feel we can totally trust him. We are his friends rather than just customers. We will definitely recommend him to all our friends who want to buy a house. Raymond was great in all his dealings. He was always approachable and professional. I would highly recommend Raymond for real state matters. Raymond was fantastic. He worked extremely hard for us and never waivered. Despite the difficult market, Raymond sold our property in a timely manner for the right price. Raymond has terrific communication skills. He kept us well informed every step of the way. I would definitely use Raymond in the future and would gladly recommend him to others. 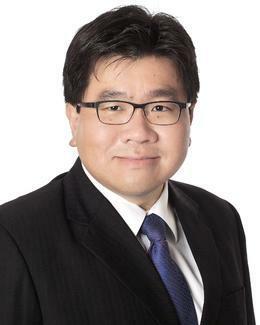 Raymond Chen was a very knowledgeable and compassionate gentleman in all aspects of the sale of my home. Indeed Raymond's work was such that my property sold immediately upon being placed on the market, for considerable more than the asking price. I would highly recommend his services to any prospective client. Raymond was helpful, knowledgeable, professional and very straight forward. He kept us informed through the whole process and always returned our calls/texts/emails. Happy to recommend him. We had a great experience working with Raymond to purchase our 2nd home. He is knowledgeable, approachable, personable, endlessly patient, and incredibly generous with his time. He answered every question and explained every form and every part of the process clearly and thoroughly. Buying a home in this market is challenging, but working with Raymond made it as painless and straightforward as possible. We highly recommend him. Sean is nice person with all skills needed for real estate agent. Whenever we called him always answer the call or text message always return back. We had great deal with him. Raymond listens to clients and fully respect their wishes in how they would like to sell their property, whilst maintaining focus on achieving a realistic market price and ultimately the sale. Raymond and his team helped us get several offers from our first home open! Raymond is a great agent and very thoughtful. I wish I can work with your company next time! Raymond and his team are excellent to deal with. When we first saw the properties that they have, they were telling us about the details and facts of the properties. As a buyer or potential buyer (back then), we felt respected, as they were not trying to hard sell us the property or be bias towards the seller. During the negotiation period and after the signing of contract, he provided satisfactory customer service. Communication has been great from the moment we started this journey with them. Raymond has good knowledge of the market. Raymond was great. I would definitely recommend Raymond to anybody who is selling their property. He knows his business well, knows how to get optimal value and has solid advise on the best approach. We would happily recommend Raymond Chen and the Team at Top Realty. The purchase of our new home involved a respectful and efficient negotiation and settlement. Communication was timely and pleasant. Thank you. Sean is a reliable, professional & knowledgeable agent and I would recommend him to my friends & family. He went out of his way to ensure it was a smooth and stress-free experience. Sean is a very skillful and trusted person that you can put your full confidence in. You can count on him to get your sales concluded in the quickest time with the best possible outcome. Our encounter with Sean is that he provided honest realistic answers to our questions regarding the sale of our property. He worked hard and had regular home opens to attract the widest possible buying audience. The whole process was relatively smooth and we would use Sean again. Sean is a great real estate agent, besides having years of real estate experience and knowledge, he is very considerate and accommodating. I would regards Sean Kum as one of the most professional real estate agent whom I have dealt with. We highly recommend Raymond. He gave us a detailed market appraisal and comparison to local properties and more so, was very accurate with his appraisal of what our house could sell for. He knows the area well and the house sold far more quickly than we all had anticipated. We chose Raymond based on his thorough understanding of Real Estate in Willetton. His professional manner and work ethic resulted in a speedy sale within the price range he predicted. We had relocated overseas but that did not limit communication or commitment on his behalf. He's true to his word. Sean helped me purchase a piece of land that i had been eyeing. 1 week from the moment i first contacted him, my offer for the land was accepted! He advised me of what a sensible offer is in order to keep the seller's interest and also gave valuable advise on building my first home. Thanks Sean for your help! Can't wait to see my house completed! Sean was very prompt and made the settlement easy and smooth. Definitely one of the best agent that I ever had; no doubt I will recommend Sean to friends and families. He's very professional, honest and easy to deal with. Sean is highly skilled and very easy to deal with. He sold my property in less than 2 weeks and got me the price I needed. I'd recommend him to everyone. Sean knows the market well, does not build unrealistic expectations. He is quite thorough and upfront. Sean is very knowledgeable and helpful. He is a reliable 5 star agent. Raymond has done a fantastic job, he is very conscientious and hardworking. He has high market knowledge and high communication skills. It has been a pleasure knowing and working with Raymond. Very nice guy, Great Service! Very happy with Sean - very professional service and assistance. No hesitation to refer him to family and friends for sure! I am so happy with this beautiful, liveable house Raymond. Thank you so much for helping me to purchase it. I was impressed with your ability to remember everyone's names. We highly valued your prompt and efficient service, your honesty and integrity. Thank you for all your help. We would be very happy to recommend you to our friends and family. I am so happy with the purchase service provided by Raymond. Raymond is a professional sales agent. We have had a very pleasant cooperation in this time. Sean has been incredibly helpful throughout the process of selling our mum's house. His knowledge of the market and local area enabled a relatively quick sale, given current condition. Sean achieved this with a level of compassion and service that is rare these days. We would be happy to recommend Sean to any potential vendor. It was a pleasure dealing with Raymond. He was very professional and had a very good knowledge of Willetton. Will definitely refer him to our friends. I felt totally confident in the manner in which Raymond conducted the sale of my property. He was extremely professional and was kind and considerate at all times. Thank you Raymond! Raymond was extremely positive, efficient and optimistic about the sale of our property even when the market was flat. We really appreciate his reliable and very encouraging service. Thank you, Thank you, Thank you. We had a wonderful experience and will surely seek Raymond's service later. This is the second property Raymond has sold for us. He was supportive, made valuable suggestions and all in all it was a "pain free" experience! We are buyers. Excellent Service! As well as selling record, a key decider was your assessment and advise on what needed to be done to make the property presentable. All items mentioned made sense to me and could realistically be attended to quickly. Sean was a very friendly, professional agent to deal with. He is highly recommended by me. I have found Mr Sean Kum a very friendly, warm and sincere man, one of integrity, extremely professional, empathetic to my needs, a good listener, a man of understanding, who follows up. His advice has proved sound in all aspects, which has realised a sale price I am more than happy with, particularly under existing property market. I would not have any hesitation in recommending him to all my friends and acquaintances, a man of good character and principles, whom i consider a friend. Raymond is highly professional, courteous and provided us with exceptional service. He is very knowledgeable about the local real estate and current market trends. Settlement proceeded smoothly and we achieved a favourable price outcome of over a million dollars in a difficult market. We would highly recommend Raymond and Top Realty to family and friends. Raymond, it was a pleasure to deal with you. We hope to work with you in the future. TOP Realty is very thorough. Exceptional service through relevant updates and advice. Raymond and his team mate Sean planned ahead for each home open and provided feedback and advice promptly and at every step of the way. Raymond took the time to discuss issues and offer solutions whilst respecting our opinions as well. It was a difficult sale but the outcome for all very good. Very happy I decided to have Raymond sell my property. Good service & communication. Thanks Raymond. Do appreciate your efforts. Looking forward to deal with you again for another property soon. Thank you Sean for your prompt replies to all our questions. Thanks Raymond & Sean for all your support in selling the block and your patience while subdivision work was in progress. Very knowledgeable, professional & courteous service at all times. Raymond was professional, accessible and thorough. Thanks Raymond for your invaluable contribution to the sale of my property. It was great working with Sean. He was always available and willing to go through things to ensure that everything was understood. We are very happy with the prompt sale of the property. We would like to thank Raymond for all his assistance and support in helping us to buy this property. Raymond has provided us very good advice and guidance which we are very much appreciated. Thanks again Raymond! We are very happy with Top Realty's service. Raymond Chen is very polite, hard working and responsive to customer quickly. Certainly will recommend him to our friends. Sean & Raymond are highly professional, experience and competent. In a difficult market, we got very close to our ideal price. And any issues were dealt with promptly and practically. Highly recommended. Raymond was very honest in all dealings. I have yet to have meet any real estate agents that have provided such good service. Raymond was fantastic. The best real estate agent I have ever dealt with. I would have no hesitation in using Raymond again. Very professional and he has a very high level of integrity. Thank you Raymond. We highly recommend you to everyone. Our experience working with Raymond was First Rate. After going nowhere with another agent for 4 months, you managed to sell our home in one week which meant we were able to secure the home we were looking to purchase. Thanks you Raymond. Good service as usual. I will refer Top Realty to my friends! Raymond, I can't but help thinking that we will deal with you again soon. Very satisfied with your excellent attention to our sale. Many many thanks. Special thanks for your determination and dedication Raymond. You guys make the selling process so much easy and assuring. Appreciate Raymond's advice on what price to accept and what not to. Thank you. Raymond sets the bar for his occupation. We were very happy with the service and results of the TOP Realty team. I would not hesitate to recommend to friends and family. We find Raymond a man of integrity, professional and was prepared to always go the extra mile. TOP Realty is a very good realty company, especially your sales representative Mr Raymond Chen. He is very good sales & good person. Thank you Raymond. I will recommend my Malaysian friends to TOP Realty. Raymond has been helpful and professional at all times. I was very happy with your service you kept me informed & had a positive outlook. Fast selling and happy with services provided byTop Realty. Sold just with first home open. Raymond, thanks for making the purchase of our new house so pleasant. It was so refreshing to deal with such a professional agent. Raymond was very helpful and explained everything in a professional manner. We felt that he was helpful on both sides (buyer & Seller) in presentation. "TOP" is well ahead of other agents in the area. We are happy with the support provided by Raymond Chen. He has very good work ethic and we found we are lucky to have him to assist us to buy our house. We have already recommend TOP Realty to our friend and will continue to do so if someone I know is in need of selling their house! Well done Raymond! All contact was through Raymond Chen. He made my purchase very smooth. Esp as I was a first home buyer and had little knowledge. I would absolutely recommend Top Realty to a friend and have already done that. I am very happy with the end result. Thank you very much! Raymond is very knowledgeable and answer our questions in details. He is very honest and very easy to talk with. We will definitely recommend him to our friends. Raymond was clear and understanding of our situation as first home buyers to ensure we had a full understanding throughout. Extremely satisfied with all aspects of the sale of our property by Top Realty and in particular the professionalism demonstrated by Raymond Chen. We will be recommending Top Realty to any of our friends/Family who may be in the market to sell or purchase a property. Raymond has shown great professionalism in selling our property. He is easy to communicate with and is very attentive to details and issues raised. He provided us with a sound advise on every aspect of selling our house. Many thanks Raymond. Most impressed with Raymond's diligence, Punctuality, knowledge of current property market and his utmost courtesy. Very thankful for all the support and assistance provided by Raymond and the Team, especially once having to deal with laising via Linley in Melbourne. Extremely helpful at all time, also with quick responses to Sean. Well done guys and good luck with your company in the future. From a very grateful Norma, Graydon, Linley & Tim. Everything was Perfect! We will recommend Top Realty to all our friends. Thank you so much for all your help and supports. Once again Raymond Chen has excellent, providing a very personal professional service. These would be no hesitation in recommending TOP Realty or the staff to anyone looking for a similar experience. Sold another by Raymond! Excellent services and result. We have tremendous respect for your service and ability and we appreciate your efforts in collecting the information and getting it to us so quickly. we look forward to the future contribution. Raymond, it was a pleasure working with you. Your friendliness, knowledge and professionalism has made selling my "first home" a fairly painless process. Good luck with your business and all the best to you and your family. Thank you both for all your help over the last few months, it is and will always be appreciated.We will toast future endevours with your company with the wonderful champagne. We appreciated the effort put in and the ever-professional service we received. The sale was lightning fast and discrete. We would tell everyone we know to come to TOP REALTY, you are two of the nicest people one could wish to meet, we both hope that your company will go from strength to strength, God will help with that. Raymond was professional, helpful and extremely knowledgeable. We were impressed with the service and efficiency. Thank you for a seamless sale, Raymond. Raymond impressed us with his level of dedication to his profession. He managed to obtained our asking price, was always keeping is "in the loop" on progress made and had plenty of advice for us on how to proceed with the sales of our property. We would recommend his services to anyone selling a home. Thanks Raymond. Five Star Service. Professional, Diligent sales representative with excellent understanding of the market. Will surely recommend to friends. Excellent experience, can't fault anything. Raymond and his team genuinely care about their clients, both the seller and the buyers. Would highly recommend anyone to use Top Realty. They are the BEST in the business. I wish them continued success. Raymond and Sean were a pleasure to deal with. Communication were always clear and every query answered. We would without a doubt recommend these agents to anyone in search of a "TOP Realty!". Very professional, courteous & prompt. It has been a pleasure dealing with Top Realty. No hesitation doing so again and would recommend to others. We were very impressed with the professional approach by Raymond in the marketing and sale of our property. Raymond had a vast range of experience and very efficient team of trades people we were able to call on to make sure our property was made ready for the market. Most important of all to my husband & I, he was a man of integrity and honour. I would like to say thanks to all your team. Especially Mr Raymond Chen, he is a great sales person. As your team take care of your customer, your customer will advertise for your team. Raymond is a delightful professional who was a pleasure to do business with. I was extremely satisfied with the result and would recommend his service without hesitation. Raymond, thank you so much for your fantastic service!!! Your new company name says it all "TOP". Second to none.